Day of Atonement is coming up on Sep. 23th. 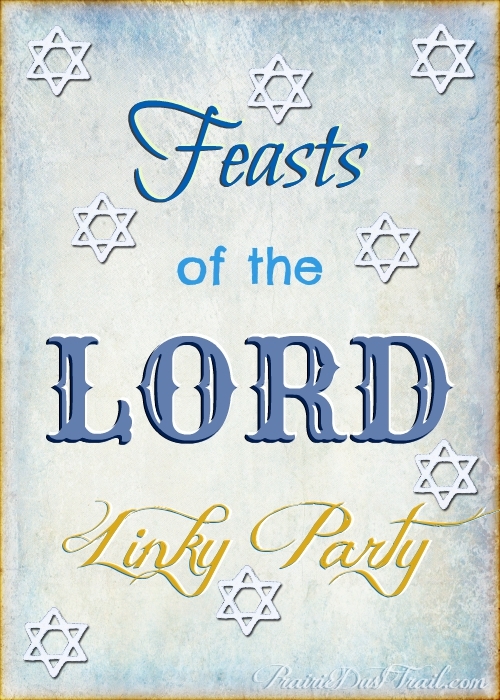 You can read about the day in detail in in the Bible in Leviticus chapter 16. Amends or reparation made for an injury or wrong; expiation. In the Hebrew Scriptures, man’s reconciliation with God after having transgressed the covenant. a. The redemptive life and death of Christ. b. The reconciliation of God and man thus brought about by Christ. In Christian Science, the radical obedience and purification, exemplified in the life of Jesus, by which humanity finds oneness with God. Okay, what is with the whole “afflict your souls” bit? What does that mean? The LORD apparently makes a big deal about it in the above verse. Well, synonyms of the word are trouble, burden, distress, worry, harass. We need to harass our soul, distress it, worry about it, burden it, and be troubled by it. In short, to “afflict our souls” means to judge ourselves. God specifically wants us to feel uncomfortable on the Day of Atonement. That’s a bit of a shocker in this day and age. People are all about “what feels right” and “what my heart says” and “I’m generally good” or “God is luuuuv”. No one considers how much of a messed up person they are compared to Jesus, or that God is a just God, or how many of the LORD's commandments they break every single day. Nobody likes feeling uncomfortable and humble. God doesn’t want us to feel that way all the time either, but if I don’t take some time to consider what a terrible sinner and selfish human I am, then I will gradually lose my need for my Creator and His redeeming mercy. That shouldn’t be hard. We are such selfish beasties that think only of ourselves all the time… but it’s hard to think of ourselves as law breakers; immoral, lying, murdering, idolaters. OH! But wait. It gets better. See, not only were the Children of Israel supposed to reflect on their past and "afflict their souls", but then they were supposed to kill an innocent little animal. God didn’t tell the Israelites to kill an animal “just because”. He told them to do it because the animal was innocent, whereas humans are not. Only the innocent can pay for the freedom of the guilty. Before Jesus came, the people had to pay for their crimes against God's law with innocent blood. Now days, we cannot be rid of our sin unless we accept that Jesus came to earth, lived a perfect life, suffered, and died to pay for our sins, then rose again to defeat death and prepare a place for us in Heaven. Thank God that Jesus shed his innocent blood for us! Now we don’t have to kill any more innocent animals to pay for our sin! Jesus paid for ALL of our sins! So, this coming Day of Atonement, I won’t be slaying any animals and burning them as payment for my foolishnesss. Instead, I will be spending the day in fasting, reflection, and prayer. I will be judging myself according to God’s law. Not comparing myself to a serial killer, or a pervert, or an animal abuser, and thus making myself feel like a saint. I will be comparing myself to a perfect law and a perfect savior. So, do I just think about all the dirty rotten things I've done in my life and feel bad about my-rotten-little-self all day long on Day of Atonement? No way! Not at all. The Day of Atonement is a day to find where I am lacking in my walk with God and make myself a better person. It’s kind of like taking a day off to make New Year’s resolutions (that we actually KEEP). I may be very uncomfortable pointing out my own shortcomings to myself, but I don't need to feel BAD about myself and throw a pity party. That won't get me anywhere. Instead, I am going to think about what I want to do differently in my life and what sort of person I want to become in the year ahead, and I am going to ask God to help me achieve those goals and overcome my shortcomings. I'm so glad He is willing to help me with that, because I sure can't do it by myself! Read through the Ten Commandments. Which law have you been having particular trouble with this last year? Are you putting something else before your time with God? Are you always wishing you had awesome stuff like Jane & John Doe? Constantly telling little white lies? What would you like to start doing better in the coming year? Read through Matthew 5 & 6. Is there anything there you would like to become better at? Going the second mile perhaps, or keeping your promises? Maybe you harbor great anger toward someone and you are ready to let that burden go? Or maybe you are worried about something? It’s all there in those two chapters. Is there a particular word (word of the year), or Bible verse, or a characteristic of Jesus that you want to apply to your life to become more like Him? Before we part, here is a song by Casting Crowns that I think really hits home for Day of Atonement. It is a good reminder that we don't fall away from God in a day. It's a Slow Fade.